Dr. Salman H Ahmed, MD is a Doctor primarily located in Ormond Beach, FL, with another office in Port Orange, FL. His specialties include Pediatrics. He speaks English. Dr. Ahmed has received 4 awards. 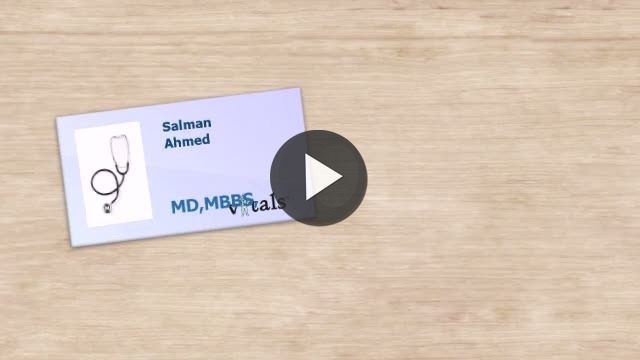 The overall average patient rating of Dr. Salman H Ahmed is Great. Dr. Salman H Ahmed has been rated by 35 patients. From those 35 patients 7 of those left a comment along with their rating. The overall rating for Dr. Salman H Ahmed is 4.2 of 5.0 stars. We have been seeing Dr. Ahmed for a approximately five years now. He has been a godsend to our family and we are extremely happy to have him as a doctor in our area. Not only does he take the time to observe and assess your childs ailments but he goes above and beyond to find out other possible causes. He checks every avenue to rule out serious medical conditions and is always reluctant to perscribe antibiotics unnecessarily. On many occasions he has told me perscription meds were unnecessary. I trust him and have always been confident in his diagnosis of my child as I am sure I will be with my future children. I would highly recommend him to anyone in need of a great doctor. I will say that while I am confident in all the doctors in his staff he is the only one I will see and Dr. Quinteros- only if absolutely nessessary will I see another doctor because these two are in my opinion the best period! Dr. Ahmed is a wonderful pediatrician who listens very carefully and speaks directly to his patients. He has a gentle manner that makes children feel comfortable. We are quite fortunate to have him in this area. Dr. Salman diagnosed my son With Neuroblastoma when he was 13 months old. Thanks to him my son is now 17 years old and just about to graduate high school. Thank you Dr. Salman for saving my son's life. Dr. Salman Made sure I got the best treatment in his hospital and when he sent me to Miami Children's Hospital. Every time I saw the doctor in the hospital he was walking superfast and always running up and down the stairs. I think Dr. Salman fights for the lives of the patients he has. Philosophy of Care: To offer the best possible care and treat others the way you would want yourself to be treated. Take a minute to learn about Dr. Salman H Ahmed, MD - Pediatrics in Ormond Beach, FL, in this video.